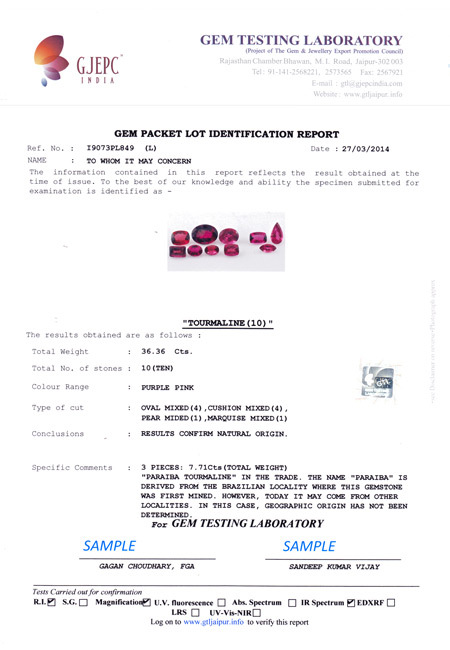 This is a collective report for multiple stones in a packet or a bead string, with minimum diameter of 4mm each. Loose stones in packet lot: The packet must contain 5 or more stones of similar colour. This category is not applicable for packets of rubies, sapphires and emeralds. Bead strings: A string must be minimum 10 cm in length. This category is also applicable for rubies, sapphires and emeralds. » identification of the stone: by mineral name, prefixed by whether it is natural or synthetic, man-made product or a glass. » comments: include any additional information on presence or absence of treatments, damages, special optical effects such as colour change, and any information which may help to interpret the results on the report. 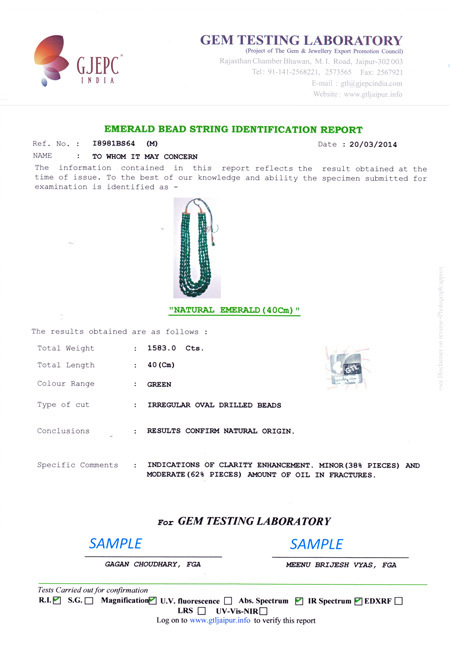 In case of emerald bead string reports, along with the nature of treatment and type of filler, its quantity is also mentioned in broad categories as significant, moderate or minor.